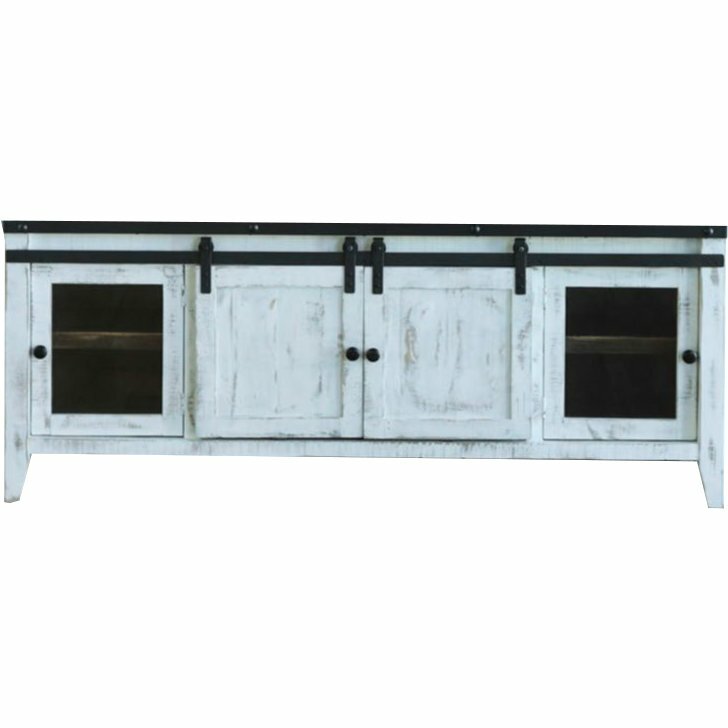 When you add this distressed white 4 piece modern entertainment center from RC Willey to your home, you will wonder how you ever lived without it. With its modern contemporary style and functionality, your entertainment area will never be the same. You will love all the open storage for your media devices and display pieces. The closed storage with the doors and drawers will hide away all the inevitable entertainment center clutter. 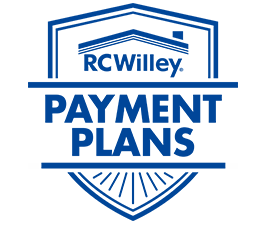 RC Willey helps you make your home, your way! When you add this 68 inch modern distressed white TV stand from RC Willey to your home, you will wonder how you ever lived without it! With its modern contemporary style and functionality, your TV area will never be the same. With glass open doors, for your media devices and the closed storage with the door, you can hide away all the inevitable entertainment center clutter. RC Willey helps you make your home, your way! Distressed White 4 Piece Modern Entertainment Center - Taz is rated 5.0 out of 5 by 1. Rated 5 out of 5 by JGKG Distressed White and Brown Entertainment Center Country Elegance! We had a totally different center picked out until we walked by this one. Our tv is wall mounted and it still works with this center. Easy to put together if you have to move it. We don't have anything negative to say about it. It was a perfect match for us.